The Paihia Pacific Resort Hotel is a friendly and welcoming base in the Bay of Islands region. Offering simple yet comfortable rooms and facilities, this is a property filled with character that provides a relaxed place to stay. There are 35 guestrooms available, in addition to a restaurant and bar, outdoor recreational area and BBQ facilities. But the staff are the true highlight of this hotel, with attentive and genuine hospitality making it a popular choice in the Bay of Islands region. 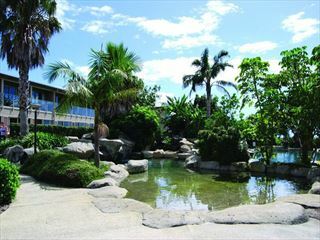 Just a short walk from the beach and five minutes from the town center, the hotel is set in the Bay of Islands area. 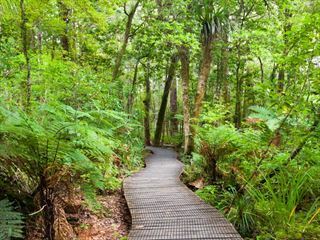 Close to the beautiful foliage and rainforests, towering kauri trees and the historic township of Russell, there’s so much to explore in this area, particularly for nature lovers. Oasis Restaurant – The on-site restaurant serves up a delicious full cooked breakfast each morning, in addition to a stone grill dining in the evening. The lounge bar opens out to the edge of the pool, where you can enjoy the sunshine with a refreshing beverage during the day. 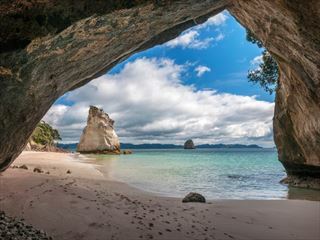 A short but relaxing trip to the picturesque Bay of Islands region. This six-day self-drive itinerary provides beautiful scenery, a tranquil ambiance and wonderful experiences.